Attention-deficit/hyperactivity disorder (ADHD) is a prevalent and chronic mental health condition that often results in substantial impairments throughout life. Although evidence-based pharmacological and psychosocial treatments exist for ADHD, effects of these treatments are acute, do not typically generalize into non-treated settings, rarely sustain over time, and insufficiently affect key areas of functional impairment (i.e., family, social, and academic functioning) and executive functioning. The limitations of current evidence-based treatments may be due to the inability of these treatments to address underlying neurocognitive deficits that are related to the symptoms of ADHD and associated areas of functional impairment. Although efforts have been made to directly target the underlying neurocognitive deficits of ADHD, extant neurocognitive interventions have shown limited efficacy, possibly due to misspecification of training targets and inadequate potency. We argue herein that despite these limitations, next-generation neurocognitive training programs that more precisely and potently target neurocognitive deficits may lead to optimal outcomes when used in combination with specific skill-based psychosocial treatments for ADHD. We discuss the rationale for such a combined treatment approach, prominent examples of this combined treatment approach for other mental health disorders, and potential combined treatment approaches for pediatric ADHD. Finally, we conclude with directions for future research necessary to develop a combined neurocognitive + skill-based treatment for youth with ADHD. Nielsen. (2011). Mobile media report: State of the media Q3 2011. Retrieved from http://www.nielsen.com/us/en/insights/reports-downloads/2011/state-of-the-mediamobile-media-report-q3-2011.html. Shechner, T., Rimon-Chakir, A., Britton, J. C., Lotan, D., Apter, A,. Bliese, P. D., et al. (2014). 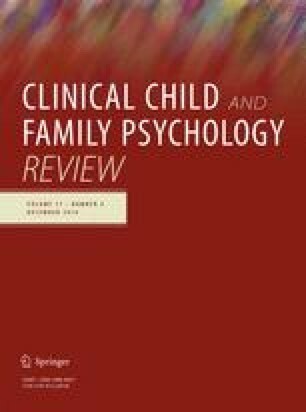 Attention bias modification treatment augmenting effects on cognitive behavioral therapy in children with anxiety: Randomized controlled trial. Journal of the American Academy of Child and Adolescent Psychiatry, 53, 61–71. doi: 10.1016/j.jaac.2013.09.016. Siegle, G. J., Price, R. B., Jones, N., Ghinassi, F., Painter, T., & Thase, M. E. (2014). You gotta work at it: Pupillary indices of task focus are prognostic for response to a neurocognitive intervention for depression. Clinical Psychological Science, 2, 455-471. doi: 10.1177/2167702614536160. Washington State Institute for Public Policy. (2012). Cognitive behavioral therapy (CBT) for children with ADHD. Retrieved from http://www.wsipp.wa.gov/rptfiles/3900.CBTADHD.pdf.